Each year, hundreds of international water managers, engineers and scientists visit Deltares, a research institute for water and soil management in delta areas. The visitors come to work with us on joint research projects, to attend events such as the Delft Software Days, and to consult us for strategic water issues. Many of our visitors stay in Delft for several days or weeks, a perfect opportunity to get to know The Netherlands. The Netherlands are home to many modern and historic waterworks. 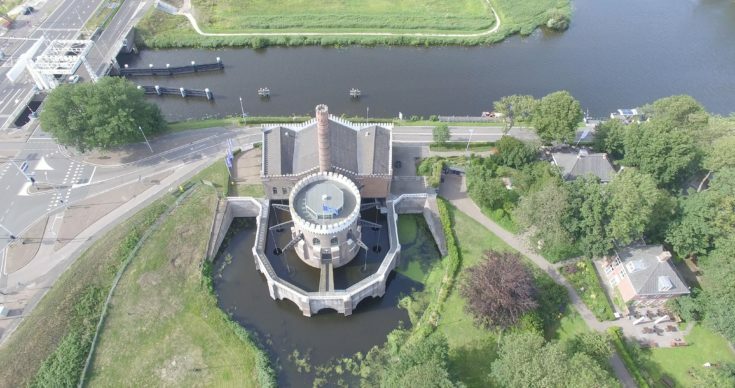 The Dutch created their own land from water and constructed several ingenious and impressive waterworks. The Dutch delta is an example of the Dutch engineering capabilities; it has many solutions on display for water management in low-lying areas. By visiting these highlights, you will enjoy your visit to Deltares even more. If you travel by plane to Schiphol Airport, you arrive at 3 metres below sea level. The airport is situated in the Haarlemmermeer polder, a former lake. In the 19th century, Lake Haarlem stretched from Leiden to Amsterdam and waves were nibbling at the southern tip of Amsterdam, a dangerous situation. The land was reclaimed from the water with three steam powered pumping stations, a technological revolution at the time. 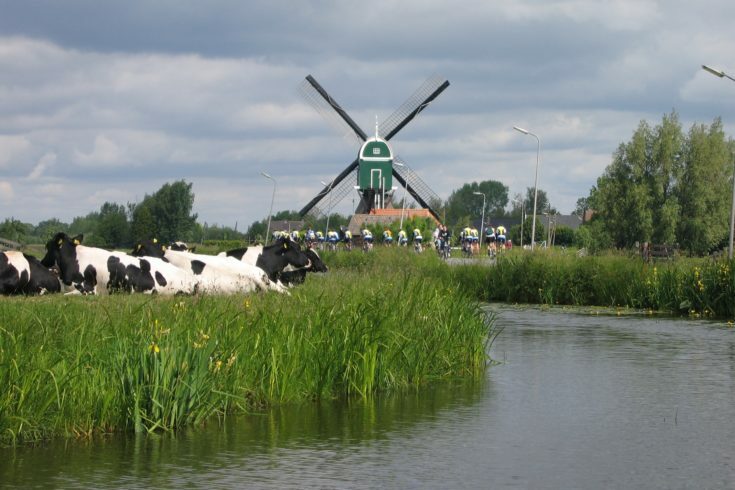 Holland is known for its many polders: flat lands, with dreamy cows and clouds in the sky. An extensive network of ditches and channels regulates the water level in the polders in the western and northern half of the country. The rainfall surplus is pumped from the ditches to a channel that surrounds the polder. The channel system discharges the water to the North Sea. Just outside the Deltares campus is a modern pumping station. The upper channel is elevated above the surrounding land. 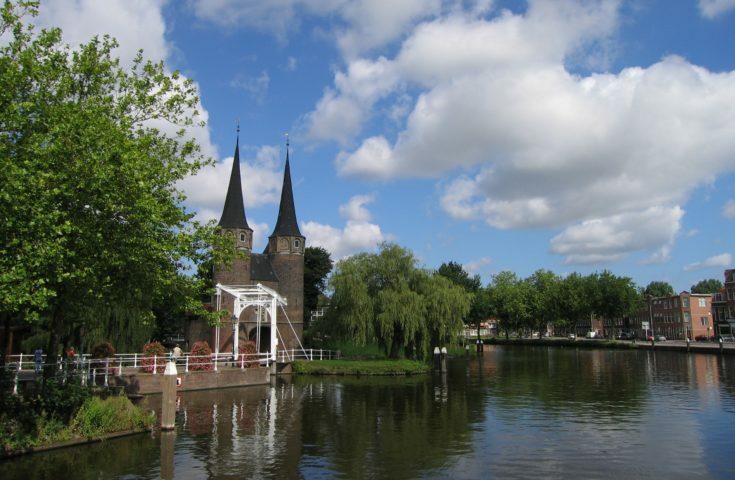 Delft is a picturesque town, with monumental houses and a beautiful canal system. Like so many medieval cities in Holland, Delft was founded near a dam in a small river, where a system of canals was dug for the shipping of goods and the discharge of water. You can make a boat tour and admire the old city from the water. The centre of Delft has a friendly atmosphere, with few cars and lots of bicycles. Delft is a student city, with Delft University of Technology, the UNESCO-IHE Institute for Water Education, and two graduate schools. The city centre offers an extensive choice of cafes and restaurants, with a view on the canals or the squares. The chefs of Delft prepare delicious diners, from a simple steak with fries to exclusive world cuisines. Delft is home to the Hoogheemraadschap van Delfland, the regional water authority. This is the oldest democratic institution in The Netherlands, dating back to the 13th century. The headquarters of the Hoogheemraadschap are at the Oude Delft, opposite of the Old Church, which has a tower that rivals the tower of Pisa. In former days, beer was brewed from canal water, while the same canal was used to discharge wastewater. Thanks to a modern sanitation system, the water quality has improved a lot, apart from an occasional student bike on the canal bed. 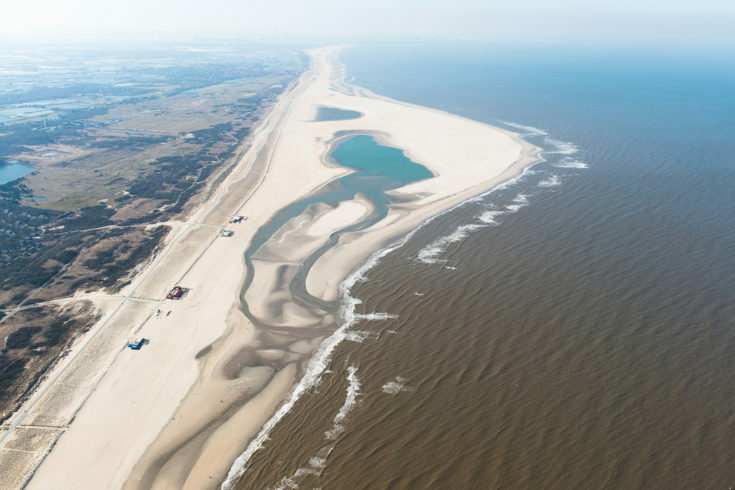 The Dutch coast is protected by dunes, dikes and a variety of impressive barriers. Living below sea level with so many people requires a robust coastal defence system. The Delta Works in the provinces of Zuid-Holland and Zeeland are a collection of dams and storm surge barriers in the estuaries of the rivers Scheldt, Rhine and Meuse. The construction started after a disastrous flood event in 1953. Twenty kilometres to the south-west of Delft you can visit the Maeslant storm surge barrier in the Nieuwe Waterweg shipping channel. 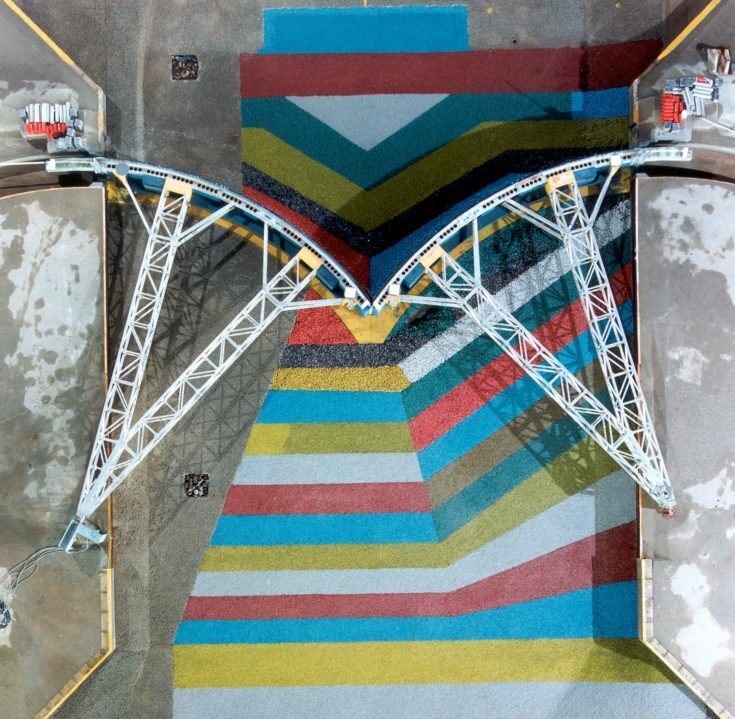 Two enormous, semi-circular doors were built to protect the Rotterdam area from a storm surge. A flood forecasting system gives timely warnings for high water levels. Deltares has made a physical scale model of the Maeslant storm surge barrier in the experimental facilities. The Deltares campus in Delft has several experimental facilities that are used to test the strength of dikes and structures under severe wave conditions. The traditional windmills in Kinderdijk, to the east of Rotterdam, are a top tourist attraction. The windmills were used to pump the rainfall surplus from the polders. A series of windmills elevated the water step by step. There are 19 mills in total and one of the mills is open for visitors. The first mills were constructed in the 16th century. Nowadays, wind energy is in vogue again, as part of a mix of sustainable energy sources. Sophisticated software is used to balance water security against energy prices during the day. It is feasible to operate water pumps at times when electricity is cheap and abundant, because the buffering capacity of the water system allows for some fluctuations in the water level. Gouda is a picturesque town and famous for its cheese. The milk for the cheese is produced in the surrounding ‘Green Heart’ of Holland. Frankly speaking, the Green Heart has not the most stable soils. It is suited for herding cows and not much else. The peat soil oxidises and compacts when it is drained too much, for instance for agriculture or in residential areas. In the past, the peat soil was used for the production of fuel by digging the top layer. The towns and villages in the Green Heart have to cope with land subsidence. The land is sinking, while the sea level is rising. At some point in the future, the system cannot be sustained any more and the deepest parts may be turned into water again. Several coastal cities in the world are facing a similar situation, where the speed of land subsidence exceeds the speed of sea-level rise. The Dutch landscape has inspired painters for centuries. 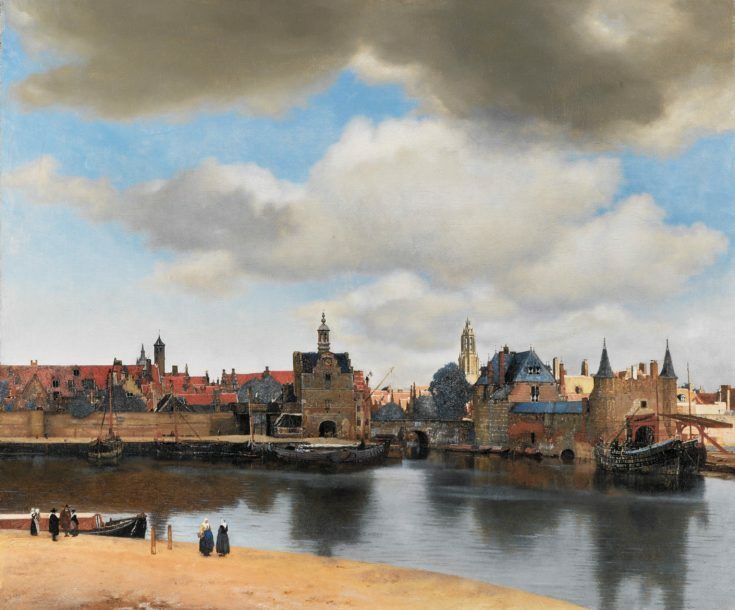 The Mauritshuis in The Hague has a highly appreciated collection of paintings from the Dutch masters. Here you can see the “View of Delft” and “Girl with a Pearl Earring” by Johannes Vermeer, a painter from Delft who is world famous for his virtuosity in painting light and colour. The Panorama Mesdag is another nice museum in The Hague. It shows a 360 degree painting of the sea, the dunes and the village of Scheveningen in the 19th century. It is 14 metres high and 120 metres in circumference, so you are literally surrounded by the Dutch coast. Water modellers use the colour palettes of the Dutch masters as well. Fedor Baart from Deltares created an application for the visualisation of water flows by means of tracers. The colour schemes he used were derived from famous paintings. The flow of water is simulated by a numerical simulation model. If you prefer sports over a museum, you will enjoy a visit to the beach. To the south of The Hague is the Sand Engine. This large scale sand nourishment strengthens the coastal defence system in slow motion. The sand is distributed along the coast by means of natural currents. The place is also popular with kite surfers, who enjoy the waves and the wind. You can build your own sand engine in the Augmented Reality SandBox. 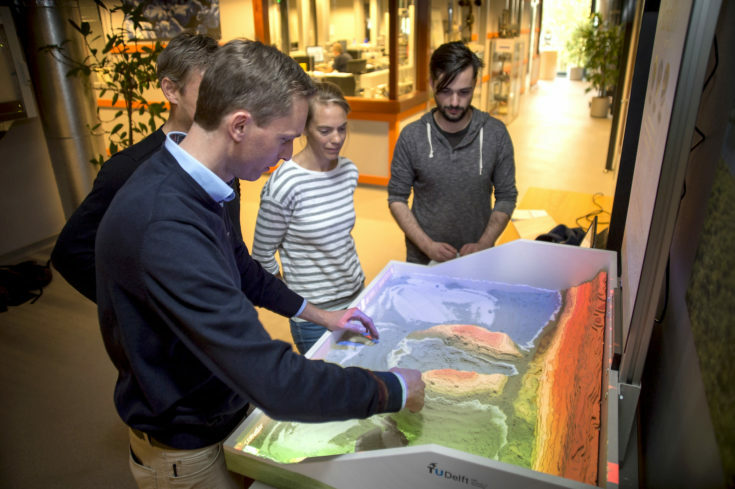 In the AR SandBox you can model a coastal system with your hands and simulate the impact on the sea currents. A camera detects the elevation of the sand and sends a digital elevation map to a simulation model of the coastal area. The flow patterns of the sea are simulated with Delft3D Flexible Mesh and the simulation result is projected in the box. The AR SandBox is used for stakeholder meetings and for education. Rotterdam is a modern city, shaped by the river and the port, with iconic buildings and bridges. Eye catchers are the Market hall, the Central Station, the Erasmus bridge, Hotel Rotterdam and the Cube houses. You can discover the city in a Watertaxi, which has 50 landing stages and offers trips all the way to Dordrecht, Kinderdijk and Hoek van Holland. 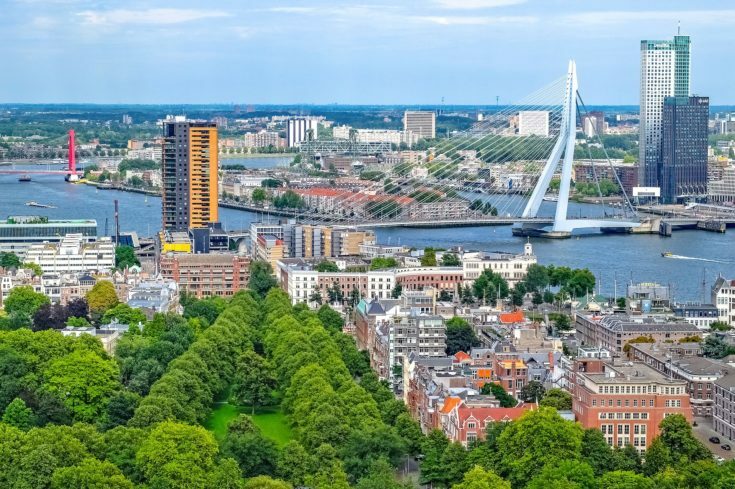 The city of Rotterdam is one of the frontrunners in climate adaptation. It started projects that aim at more resilience for extreme rainfall and heat waves. Multi-functional water squares are one of the innovative solutions. The squares can be used for the temporary storage of rain water. Rotterdam has combined car parking with water storage as well. One has to be creative in a densely populated city. Collaboration is essential to get all stakeholders involved. 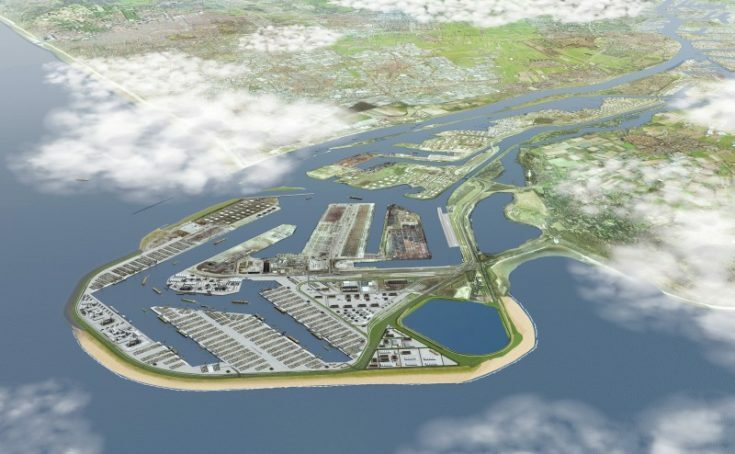 Rotterdam started several initiatives for tidal parks. Tidal parks combine flood prevention with ecological and recreational values. The gently sloping riverbanks break the waves at elevated water levels. Tidal movement and gradients in fresh and brackish water attract special plant and fish species. Further upstream, the National Water Authority has taken several measures to give the rivers more room to deal with high discharges. Lowering of floodplains, bypasses and designated inundation polders were all part of the Room for the River program. Rotterdam has one of the largest ports in the world. Goods from all over the world enter Europe through the Port of Rotterdam and are transported inland via the rivers Waal and Rhine. Recently, new land was reclaimed from the North Sea to facilitate bigger ships and further economic growth. The Futureland Information Centre at Maasvlakte 2 tells the story of the project. You can also explore changes in land and water via the Aqua Monitor web application. The Aqua Monitor compares a series of satellite images. It allows you to study the changes near your home town, but also further upstream. The Aqua Monitor reveals land reclamations, water reservoirs, braiding rivers, drying lakes, coastal extensions, wandering islands, all over the world. The province of South-Holland in the Aqua Monitor. 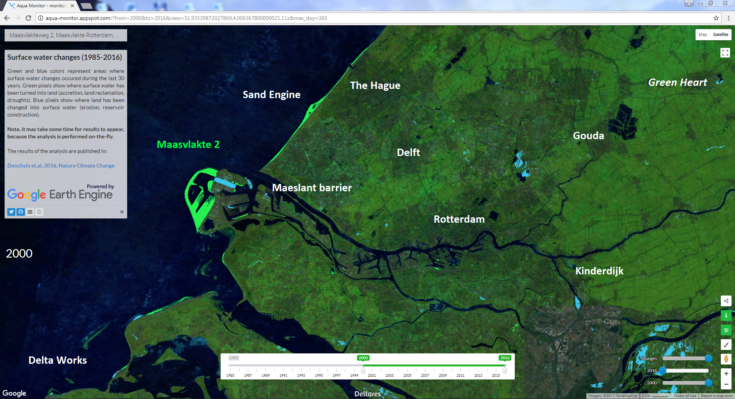 The Maasvlakte 2 is indicated by the bright green area in the west. New water is indicated in bright blue. The Dutch have been living with water for centuries. They drained the land, made polders and pumping stations, built dikes and dams to create a safe and pleasant country below sea-level. A trained eye will discover the impact of water management almost everywhere in the landscape. You will enjoy your visit to Deltares even more when you take some time to appreciate the waterworks in The Netherlands.